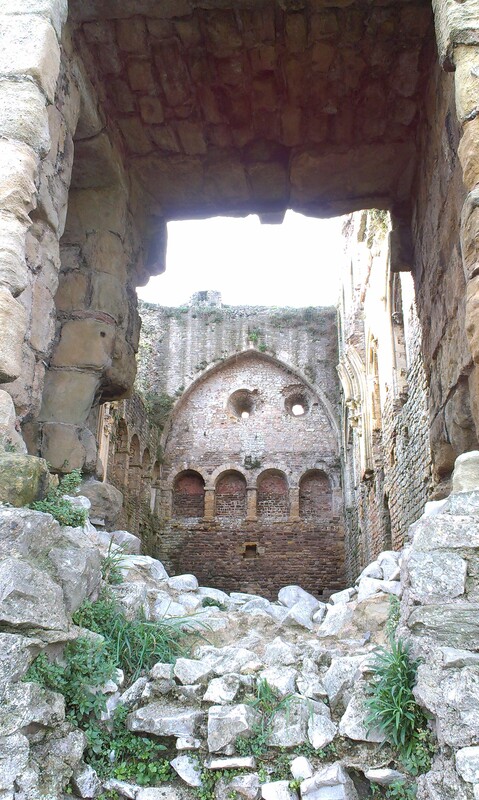 For the ambitious Norman conquerors, almost the first thing they seem to have done after the Battle of Hastings in 1066, was to disperse over the countryside of England and Wales, and build themselves castles. (Although a couple of castles are thought to pre-date the Conquest, these were the property of Norman knights, not Anglo-Saxons). And obviously, when it comes to property, the number one consideration in the eleventh century, as now, was location. Which is pretty much the overriding impression you get when first approaching Chepstow Castle – particularly if you arrive from Monmouth on the B4228. 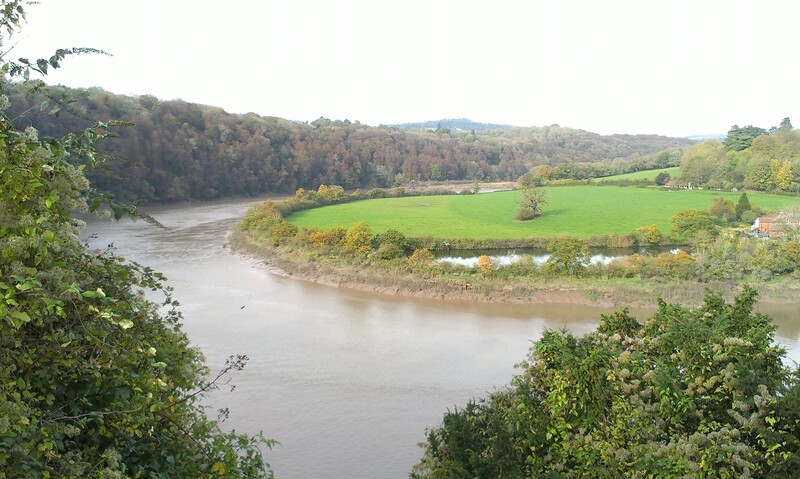 Because Chepstow Castle absolutely towers over the River Wye on sheer limestone cliffs, and even if the structure itself was never hugely strong defensively, its strategic position on the Wye and proximity to the Severn is unquestionable. So perhaps we shouldn’t be surprised that it was here that William FitzOsbern, 1st Earl of Hereford – and close fighting chum of William the Conqueror, built the first phase of stone castle at Chepstow, in or soon after 1067 – making Chepstow the earliest of the Norman castles. For the next six hundred years, Chepstow Castle was an important strategic stronghold, maintained and modernised over the centuries as needs dictated. Today, all that building rewards the visitor with an exciting experience, because as you enter through the gatehouse at the bottom of the hill and progress up the ridge, you pass through fine examples of castle design through all those intervening ages. And as each one hides the next, it’s rather like unveiling each phase as you walk up. 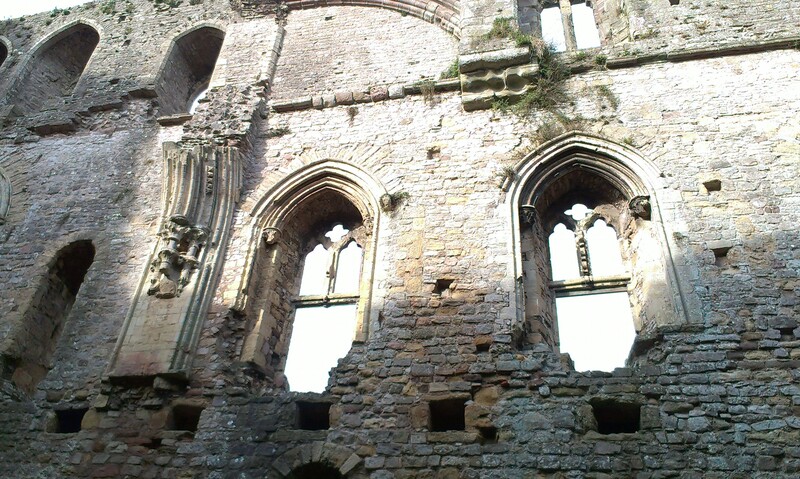 The oldest part of Chepstow Castle is the Great Tower. And it isn’t just the lack of floors which makes you look up in awe at the structure – it’s the sheer Norman-ness, the solid, dominant, domineering impact of all that stone. Even today, nearly a thousand years after it was built, it impresses. 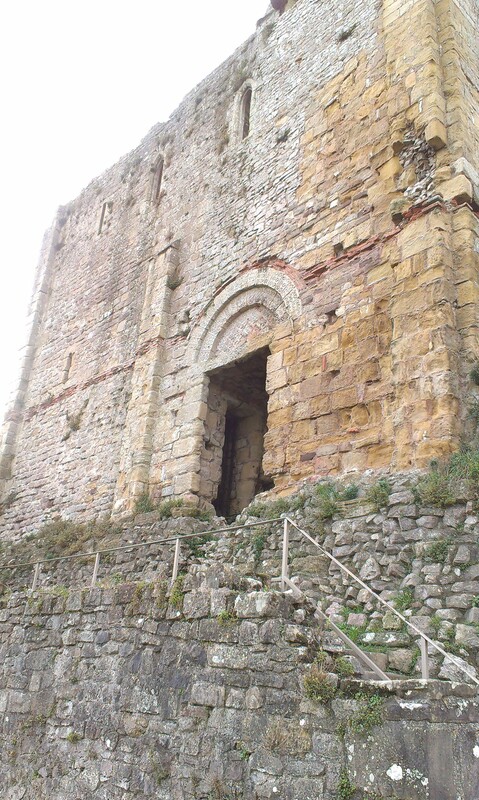 The entrance to the Great Tower. (Look closely and you can see a course of Roman bricks, thought to have been reused in the building, taken from a nearby Roman ruin). Interior of the Great Tower. Remnants of the original Norman coloured plaster in the arch niches. 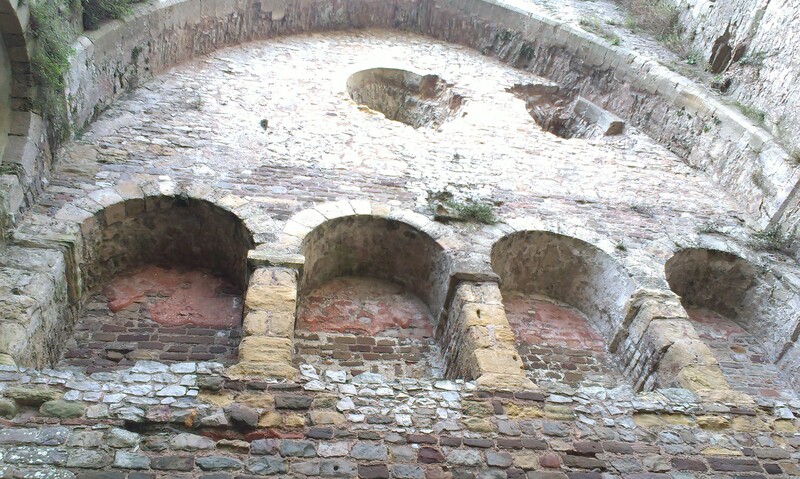 Remains of the ornate arches. 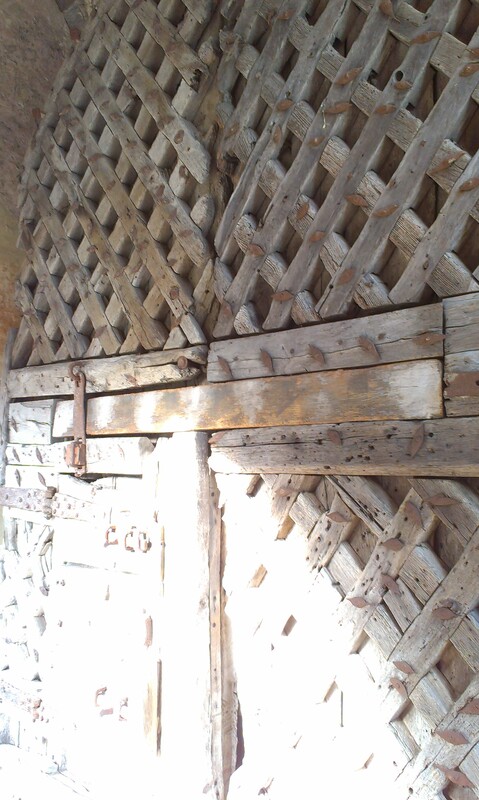 The castle also boasts the oldest castle doors in the country. Dendrochronological dating shows that this timber dates from 1159 to 1189. Over its history, Chepstow was owned by a series of powerful and influential knights, but perhaps the most interesting was William Marshall, the man who faithfully served four kings, even acting as regent for the child king Henry III , who led a battle charge when he was 70 years old. I have a book about William Marshall lined up on my Kindle, so no doubt there’ll be more to add after I’ve read it! Chepstow was besieged during the Civil War, after which it was gradually allowed to decline, until eventually being taken into government control in the 1950s. Today it is managed – very well – by Cadw. But it hasn’t lost its appeal. In the 1970s it was used as a film location for Terry Gilliam’s Jabberwocky, and in 2013, parts of the 50th anniversary episode of Dr Who – The Day of The Doctor – were filmed at Chepstow. Any David Tennant or Matt Smith fans who want to indulge a little – click on this link to see pictures. My own day at Chepstow was hugely enjoyable, but thanks to the rapidly deteriorating state of the battery in my phone/camera, I didn’t manage to take many more pictures – arrgh!, going to have to bite the camera bullet one of these days. Chepstow looks amazing – I love the 12th century door. Very nice blog. This is a huge and amazing castle, one of a run of huge beasts across South Wales. Have you also tried Caerphilly and Pembroke? Hello Marilyn, thank you! 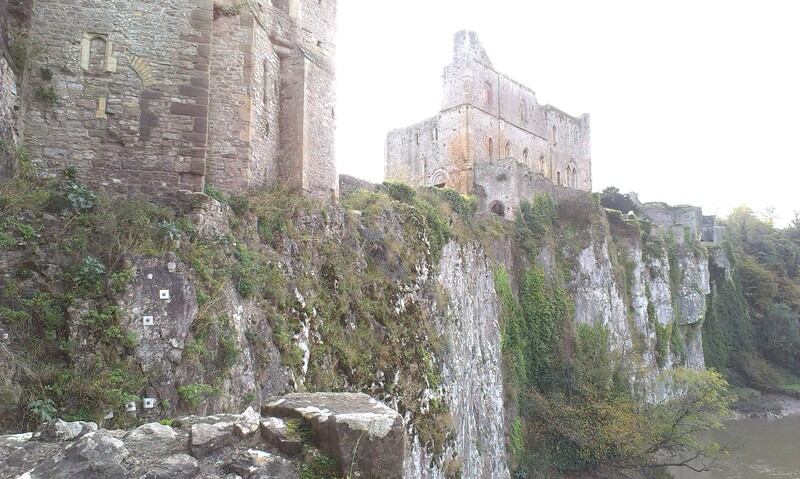 I LOVE Pembroke Castle – my Other Half managed to walk out onto the top of the huge keep, but I was too scared! But it’s superb, a really impressive beast as you say, and of course another of William Marshall’s fortresses. I still have Caerphilly on my ‘must see’ list – sounds as if I’m going to love it too. Yes I’ve been on the top of the tower at Pembroke. Quite a view. If you haven’t already done so, get to north Wales too. You would love Conwy – the Town Walls are almost even more amazing than the castle itself!